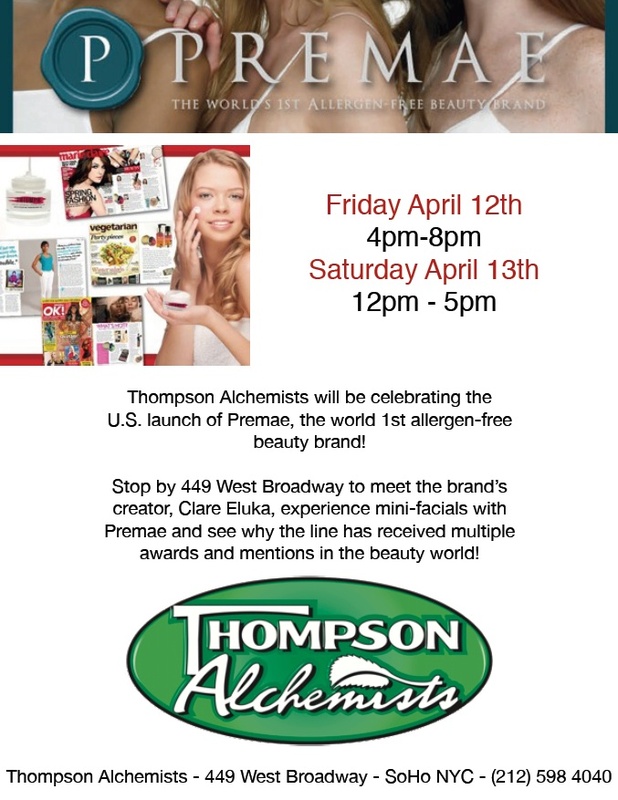 Join us on Friday April 12th from 4pm to 8pm & Saturday April 13th from 12pm to 5pm as we welcome Premae allergy free skincare. Premae is perfect for people with sensitive skin or those how battle with psoriasis, eczemas and skin allergies. Premae hydrates, revitalizes and nourishes skin back to natural healthy glow and a youthful smooth touch. We are so excited about this new beauty find and hope you can join us at Thompson Alchemists for an educational as well as a pampering experience tomorrow and Saturday.